Inzinc Consulting India provides Value-added Management Consulting services to help our clients achieve growth, sustain growth, make continual improvementsand edge out the competition over a short period of time. Our experienced Management consultants in India will advocate the best practices, suggestions, ideas and hand hold our clients in achievement of the desired organizational objectives or solutions to organizational problems or in making step-by-step improvements. Our Management Consultants in Bangalore, India focuses on results that lead to the growth and development of our client organization.We put forward our recommendations and guide our clients to practice them effectively and efficiently. Risk Management Consultancy Services: We provide risk management services to assess and treat the risks that affect your organizational assets.The Risk Management involves the coordinated activities to direct and control an organization with respect to risk. This involves risk identification, risk analysis, risk evaluation and risk treatment. Process Improvement Services: We help clients improve their Business processes. We analyze the existing business processes and optimize them to Quality standards thereby realizing improvements in the Process. 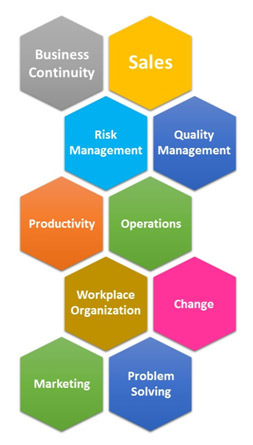 Quality Improvement Consultancy Services: Quality improvement has been a never ending challenge for organizations who want to achieve customer satisfaction or perhaps customer delight. We give suggestions to improve the quality of your products and services. Productivity Improvement Consultancy Services: Our Management consultants provide invaluable suggestions to improve productivity through continuous improvements, reduction of wastes and achieve more in less time. Marketing and Sales: We help our customers develop their marketing and sales capabilities, and harness the full potential of today's immense sales opportunities. Problem solving: Through our problem solving techniques, we assist our customersto solve the critical problems that the organization faces. Workplace organizational services: Provide guidance to implement world renowned housekeeping and workplace organizations such as the 5S system. We also provide other customized consultancy services as per the needs of our esteemed customers. To provide recommendations so that client organizations perform their tasks more effectively and efficiently. Inzinc Consulting India is one of the leading Management Consulting firms in Bangalore, Mumbai, New Delhi, Chennai, Hyderabad and other parts of India. Through our trusted partner network, we are also one of the preferred Management Consulting firms in Dubai / Abu Dhabi (UAE). Our Management Consultants in India can help small and medium businesses to overcome their management difficulties and can help them put into recovery or growth path. Our Management consultants will hand hold these firms and help them utilize their resources effectively, reduce costs and time and improve the bottom-line. 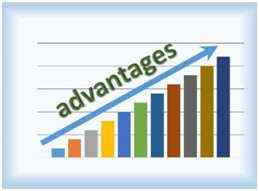 We are therefore the chosen Business Improvement Consultants, Process Improvement Consultants, Quality Improvement Consultants in Bangalore, Mumbai, Delhi, Chennai, Coimbatore, Shimoga, Tumkur, Hyderabad, Mysore, Belgaum, Pune, Ahmedabad, Jaipur, Kochi, Kolkata, Karnataka and other parts of India.